By Meredith Chilson on January 30, 2013 Visit Meredith's Website. by Meredith Chilson I’m a bird watcher. Chicken watcher in particular, but I also watch wild birds at our feeders, in the yard, and on my walks with the dog. On the very cold mornings we had last week, little birds on tree branches and big chickens on coop roosts had similar shapes. They were all fluffed up. Now I know, as do you, that birds fluff themselves for several reasons—at molting time to remove any loose feathers, after a nice dust bath to shake things back into place, and on cold days to keep themselves warm. But, do you know how fluffing themselves up on a cold day makes them warmer? It’s a bit easier to understand if we start with what we know for ourselves to be true, and then work backwards. If you have a down comforter, vest, jacket or sleeping bag, you will know how warm they are. A down comforter, for example, is very light, yet soon after pulling it across your lap you feel warmth. The heat is coming from your body and stored in the down feathers insulating the comforter. The longer you are covered with the comforter, the warmer you will become. A zipped down sleeping bag or jacket with drawstrings pulled is a bit like a furnace in a well-insulated house—the less heat that escapes the more warmth contained. There are three types of down that can be found on birds – “baby down” or natal down which is found on chicks before their feathers come in; powder down—a known allergen found only on a few species, parrots in particular, and body down. Body down is the layer of small, fluffy feathers that lie underneath the outer feathers on a bird’s body. It’s these fluffy feathers (usually from a goose) that are inside the comforter on your lap or the jacket on your back—trapping and storing heat. According to birding articles, wild birds in northern climates often grow extra down feathers after their fall molt. I know wild and domestic animals grow heavier winter coats if they are living outside. 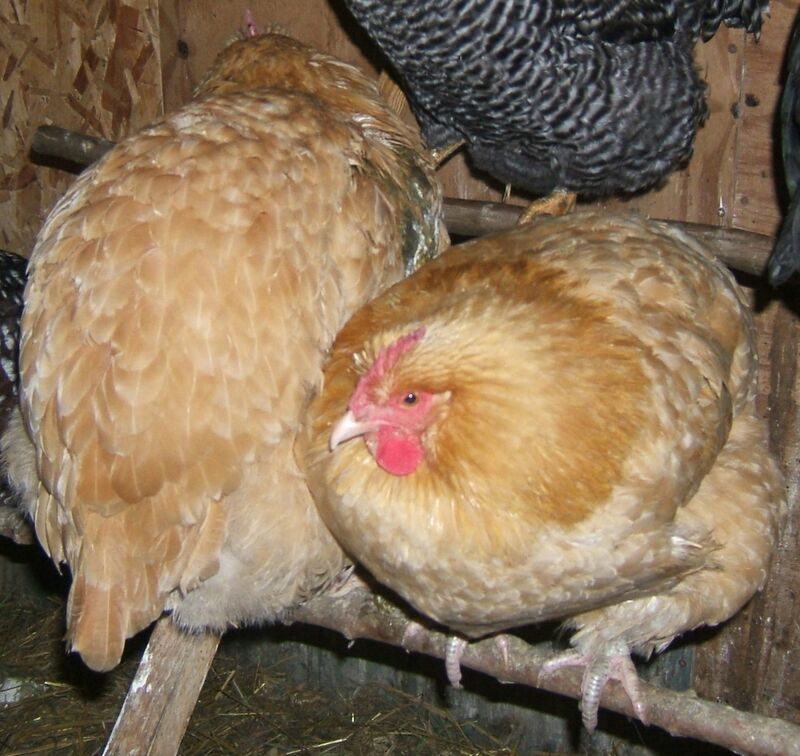 I was unable to find anything about chickens growing thicker down feathers, but I have observed that my hens—out in the air every day—appear to have a heavy undercoat of down feathers. It is very possible, however, that this is a result of all their new feathers that have come in since their molt. So. 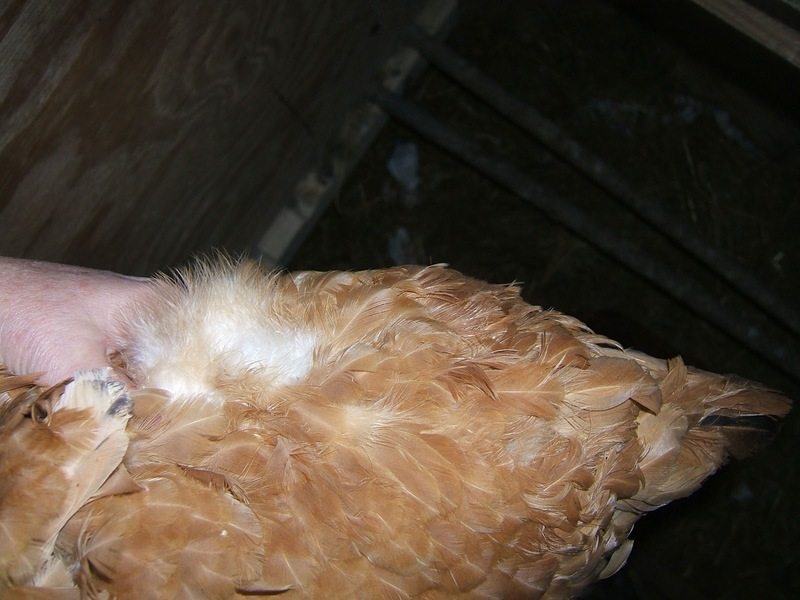 Chickens have many fluffy down feathers under their primary feathers. In cold weather the feathers raise up a bit because of tiny muscles just under their skin (read HERE where the process is compared to “goose bumps”). As the feathers rise, air space between the feathers grows, air circulates around and through the feathers and air pockets; as it circulates, the air warms. The warm air stays close to the bird’s body. The fluffed feathers act as insulation for the bird—trapping and storing heat just as they do in a down jacket or comforter. The heavier outer feathers on the chicken perform just as the exterior shell of the down-filled item does, repelling wind and snow and keeping the insulating down contained. The next time you’re out hiking or carrying that extra water to your chickens on cold winter days, and you see a hen fluffed on a roost or a tiny chickadee or junco fluffed on a branch, remind yourself how toasty warm you are inside your down filled jacket. A fine idea that must have come from a bird watcher! To read more about how birds keep warm in the winter, CLICK HERE. MY CHICKEN’S HAVE STARTED TO LAY A FEW EGGS THE LAST OF JAN. AND THE START OF FEB. 2013. I STATED FEEDING LAYING MASH THE BEGINING OF FEB, I’M ON MY WAY TO FRESH EGGS AGAIN. Isn’t it nice to have fresh eggs! Very interesting article and helpful. We worry about our chickens getting too cold. Let’s hope spring is nearly here! Useful information, Meredith. Before purchasing our first set of chicks, I bought a book that gave detailed descriptions of over 100 chicken breeds that included levels of hardiness for different environments, based on where they were first developed. As a result, Faverolles, New Hampshires and Rhode Islands are in our flock and they are fluffy, chattery and active even when it is around 18 degrees in the morning. However, their activity level is very low in the summer when temps hover around 100. 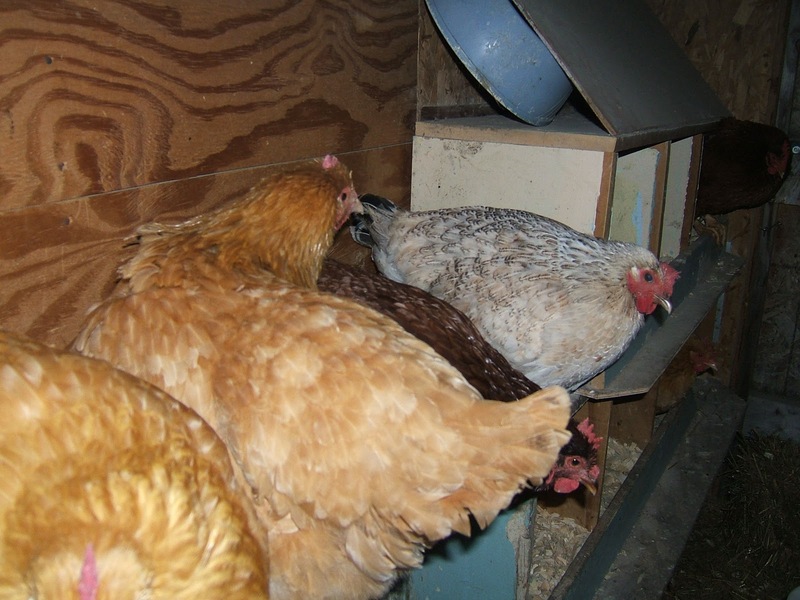 Their coop is draft-free and I leave about 10 inches of wood shavings mixed with chicken poo on the floor as I was told by a seasoned farmer that decomposing manure creates heat and it is remarkable how warm the coop is without an additional heat source. Just keep the poop away from their roosts and nest boxes! In the summer, I freeze the water in their dispensers before I take them out and run a fan inside the coop. I also hang heavy fabric in key spots to keep direct sunlight from heating the coop. What good advice! I hadn’t thought about freezing the water in the summer, but that’s a great idea, as is the curtaining to cut off the direct sunlight. I think doing research BEFORE becoming a hen keeper is important. Best wishes to you. Our Buff Orps look like basketballs on the coldest days of winter.